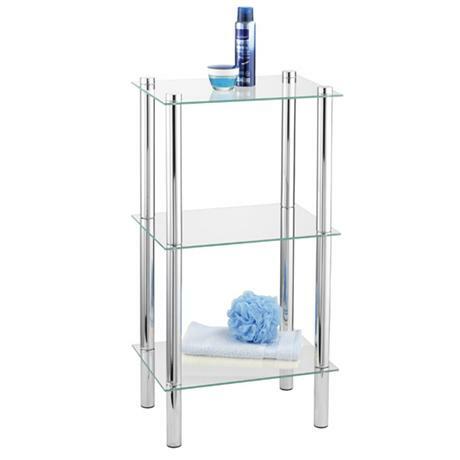 The Yago Household and Bath 3 Tier Shelf from Wenko with clear safety glass shelves. This excellent shelf provides 3 tiers for storage. Finished in a quality chrome/glass, the stand looks great and will look the part in any bathroom.